Boerne truly offers a piece of the Texas Hill Country unlike any other. Established over 150 years ago by German immigrants, this scenic spot on the Cibolo creek quickly began to flourish. Boerne’s remarkably preserved historical buildings prove this to be true, showcasing beautiful stone buildings and European-style architecture. The unique fusion of German heritage with Texan culture has created an extraordinary culture. 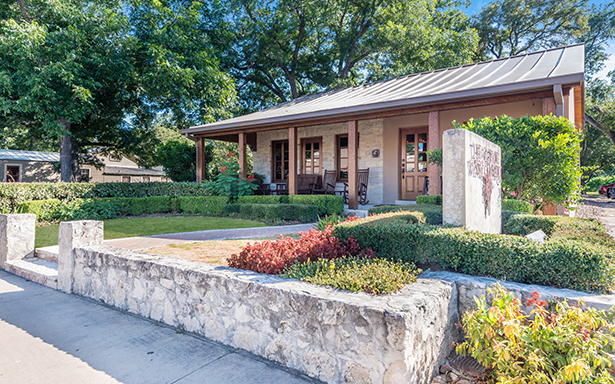 Throughout the years, Boerne quickly earned a reputation for being a hub of both economic success and personal wellness. Early on, the beauty surrounding the town led to its status as a relaxing getaway destination. This is no surprise considering the variety of plants, waterfronts, and wildlife in the Boerne area. Boerne boasts an active outdoor culture with multiple trails, parks, water activities, and a nationally acclaimed Nature Center. From the sparkling Cibolo Creek, which runs right through downtown, to the Guadalupe State Park 15 minutes away, Boerne is home to vibrant wildflowers, strong trees, and abundant wildlife. While Boerne is indeed a wellspring of natural beauty, several modern features provide an upscale atmosphere. Local wine bars, acclaimed cuisine, cultural arts events, art galleries, and an impressive array of festivals offer entertainment and luxury. The people of Boerne have a deep pride in their town and place a high value on family, a trait that is manifested in the outstanding local school districts and high median income. Overall, Boerne provides modern amenities and culture while still retaining the character and integrity of an authentic Hill Country town.